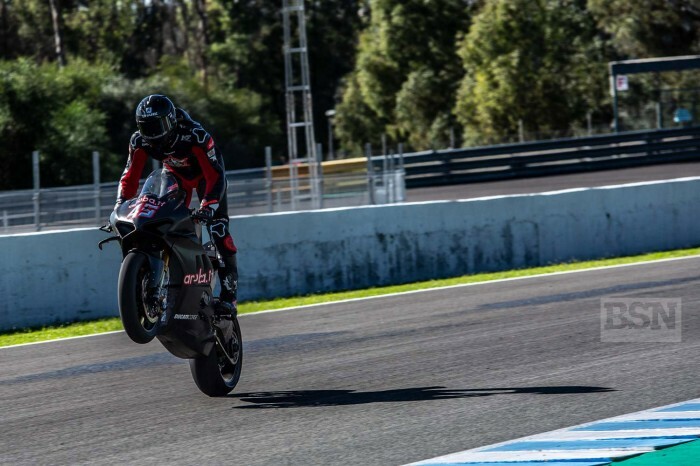 Scott Redding finished his first shakedown on the Be Wiser Panigale V4R at Jerez yesterday with a smile on his face and said he had the time of his life. 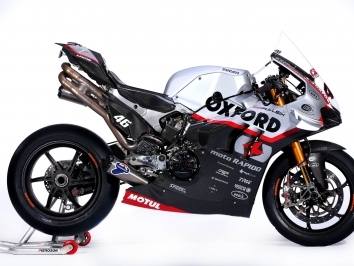 It was the first time he has ridden a Superbike and the first time on Pirelli tyres after spending his career in the MotoGP paddock, and riding without traction control for the first time in five years, he got down to a 1’41.7s lap on Pirelli’s SC1 rear. The WorldSBK lap record is 1’40.640 set by Jonathan Rea in 2017, using full electronics. “It was an interesting day. I’ve never ridden a Superbike, never ridden on those tyres, haven’t ridden with no electronics for five years and I had the time of my life. It has been sick,” said Redding, speaking after the test. “It blew my mind. The feeling was quite different, handlebars and footpegs were different and that took some time to get used to but I gelled with the bike quickly. “The problem I had is that I don’t know Pirelli tyres, so I don’t know where the limit is. I got the opportunity to test a V4R and I didn’t want to throw it down the road. I had no idea where the limit was and I still don’t but I didn’t crash. “The bike and tyres were working really well, the team was great. The bike turns and stops well, I didn’t struggle too much, it was about building confidence. “I had some big-arse moments. The tyre is good, manageable but from one lap to the next, it dropped a lot with really big spin. I was learning every lap, riding with no idea what could happen but I got it understood. I have walked away with a smile after a couple of tough years in MotoGP that broke me. “Today, the big rucksack of stress disppeared. I felt myself again on the bike, I was smiling and I would have loved to have more time. We only had half a day due to the weather.